You might be moving into the salary negotiation phase of your job search soon. This area is a big one as we all want to come out of these negotiations feeling that we set ourselves up for a fair wage (after all, we worked so hard just to get to this point!). Know what the market says your worth. Too many people walk into a salary negotiation unaware of this, but it’s the main ingredient. We’d all like to think we can “name our price,” but the market really does that (so capitalistic, I know!). So do your research and build your salary range off of that. Never offer your lowest number. If your lowest salary expectation is $100K, then your range should be something like $105K-$120K. Chances are you will end up somewhere around $110K, but even if you do end up at $105K, you are still above your bottom number. Of course, there are other factors involved, like benefits and vacation time, and you should weigh them in the offer, but companies know that candidates are willing to make sacrifices in salary for these benefits, so they use it to get you to agree to less money, which means you have to work your way up (here and at the next company) from a lower base. Is Your Technical Recruiter Right for You? Outside of lack of response during your job search, the next most frustrating issue is spending too much time talking to the wrong people. And this is particularly true when it comes to technical recruiters. I watch candidates on a regular basis jump through hoop after hoop for recruiters, writing special presentations and bios, changing this and that on their resumes, and showing up at this and that meeting only to find out that the recruiter doesn’t really have openings for their specific background or salary range. It’s a big waste of everyone’s time. And it can be A LOT of time. But it happens all the time. So what can you do about it? It starts with proper matching. Most candidates are under the impression that if a technical recruiter is in their geographical area and is willing to speak with them, then he or she is a good match. But it goes further than that. You need to know if he or she has placed people with your skills/industry background and at your salary range before, and geography is no longer the indicator it used to be as many recruiters place people over a much broader region than they used to. So it start by doing your research. Of course, research takes time. A lot of time. Even with LinkedIn and premium search tools, you still have to have set parameters and know how to research them. It can take hours of precious job search time to find just one or two. And then you still have to know how to approach them, engage with them, and make sure they really are the good fit they appeared on paper. It’s why so many candidates give up. But there is a lot of value in finding the right technical recruiter because when the match is right, the whole process is much easier. Not to mention the fact that recruiting is on the rise and will continue to play a large role in the hiring process in 2015. So if finding the right technical recruiter is important to you, there are ways to make it easier. You can simply tap into a general directory of technical recruiters already prepared with full contact info. Or you can take it a step further and engage a recruiter matching solution where you can work with a concierge service to have a customized list of recruiters built for you and your needs by a technical job search specialist (not to mention get good guidance on how to approach the recruiters). 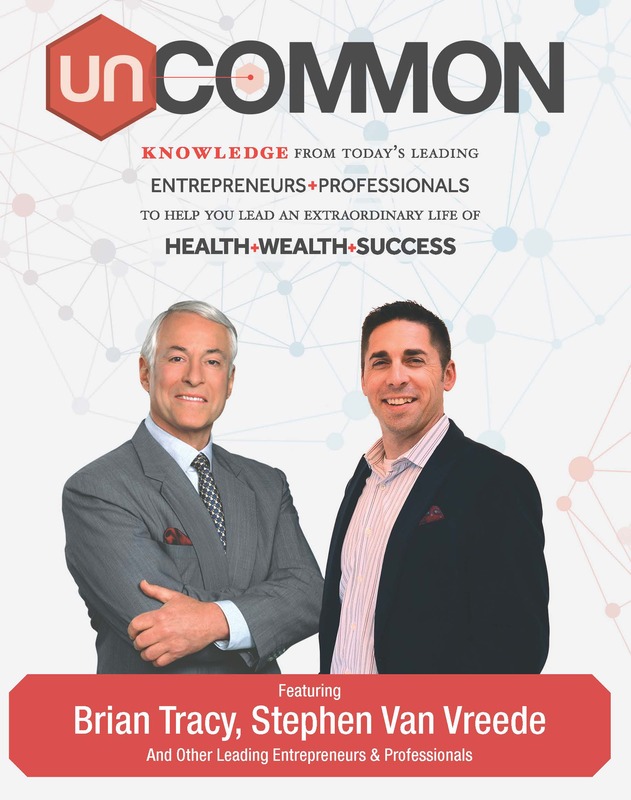 In my newly released book UNCOMMON with Brian Tracy, I wanted to focus on the concept of “corporate entrepreneur.” Thanks to feedback from my social media connections, I was able to gather some great data and comments on what corporate entrepreneurship means to today’s professional. Below is an excerpt from the book. If you’d like to download the entire chapter, click on the cover graphic and I will send it to you! OR if you’d like to order a signed copy of the book, check out my exclusive offer. Click on cover photo to receive rest of chapter! Let’s face it. The world of “work” is more uncertain than ever. It penalizes you for things you often can’t control … for being too “old,” too experienced, too qualified, too “educated,” too “expensive.” It might not reward you for this certification or that title. On top of that, corporate hiring processes are a sophisticated mess (to put it mildly), internal cultural and multigenerational conflict is commonplace, and many companies are struggling with how to retain their top talent. As a result, professionals now make an external career move every 3 to 4 years. That means the average 30-year-old with 35 years (or more!) left in the marketplace can expect 10 or more company changes before he or she retires. Even if this professional were to beat the odds with an internal promotion or two, by say double, he or she could still be out in the market every 6 to 8 years. If all that corporate “goo” isn’t bad enough, then there’s the job market “zoo” to contend with. BUT THE GOOD NEWS IS THAT IT’S NOT ALL BAD NEWS! Each day I work with professionals across the globe dedicated to building in career protection, and they are achieving tremendous results. Just like the rest of us, they face many of the same limitations: age, gender, level of experience, geographic restrictions, lack of credentials, market instability, and so on. The difference is in how they approach these limitations and build in their protection from the storm. IS THERE REALLY SUCH A THING AS CAREER “PROTECTION”? People tell me that “job security” is a myth today or that if you work for someone else, such as a corporation, you can’t really control your fate. And I understand what they mean. IT SEEMS LIKE SOMEONE ELSE IS HOLDING ALL THE CARDS.